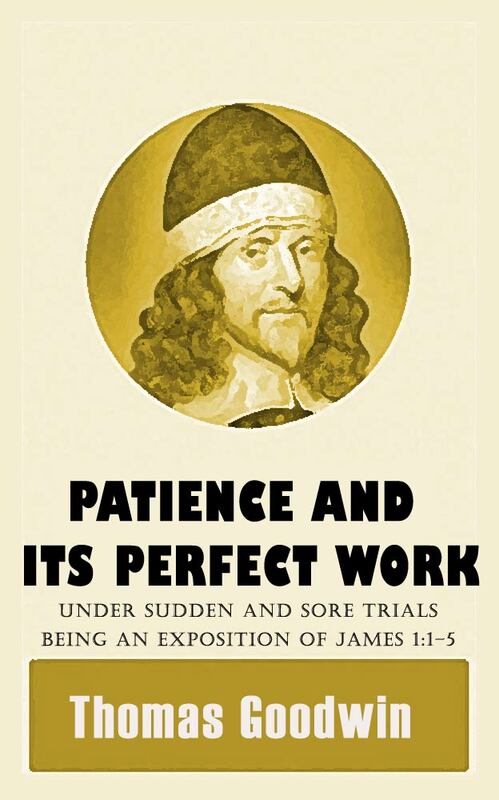 Patience and Its Perfect Work, which includes four sermons on James 1:1-5 was written after the great plague and a major fire.. In 1665 the great plague of London broke out in which over 68000 died. The king and his court fled the city in June and did not return until the following February yet the Goodwin laboured on. The plague had not yet subsided when the Great Fire occurred in 1666. This fire started early Sunday morning 2 September in a baker's shop near London Bridge and the city burned until late the next Wednesday under a wind 13200 homes being burned as well as 87 churches. Goodwin's home came under threat of the raging blaze. Concerned to save his priceless library he had over half of his books moved to the home of a friend safe from the spreading conflagration. But a shift in the wind spared his dwelling and the books therein and those he had removed burned with the friend's house. Mourning at his great loss valued at over £500 he wrote a book based upon James 1:1-5 and published as "Patience and its Perfect Work under Sudden and Sore Trials." Goodwin died Feb. 23 1679 and was buried in Bunhill Fields. 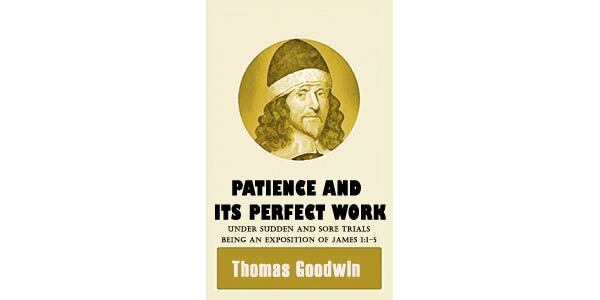 Section III : What is the Perfect Work of Patience?